I bought this J. Crew coat about 2 years ago and I still consider it to be one of my all-time best purchases. I consider it to be a "special occasion" coat because it's not easy to wear a white, wool coat everyday for places like school. Plus it's just too precious! I'm planning on wearing this for the next couple years haha. It's no longer at J. Crew but I found many sellers on ebay that are selling the exact same one. I linked one of the sellers but type in "J. Crew tipped peacoat" to see other sizes. 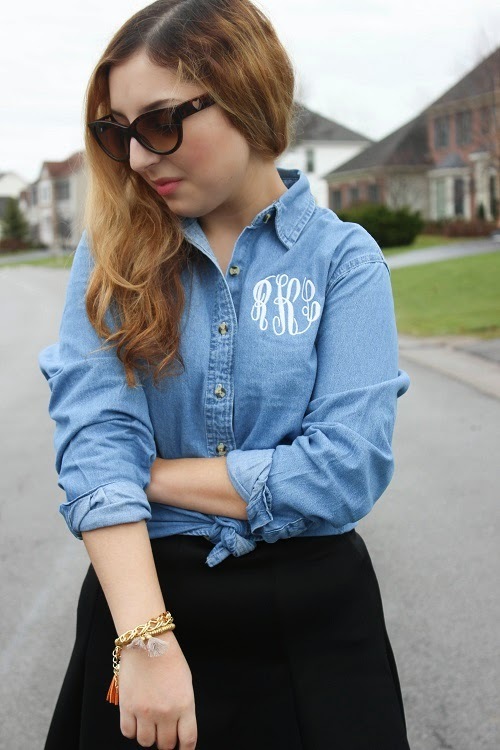 As for the denim shirt, you don't see monogrammed ones everyday! 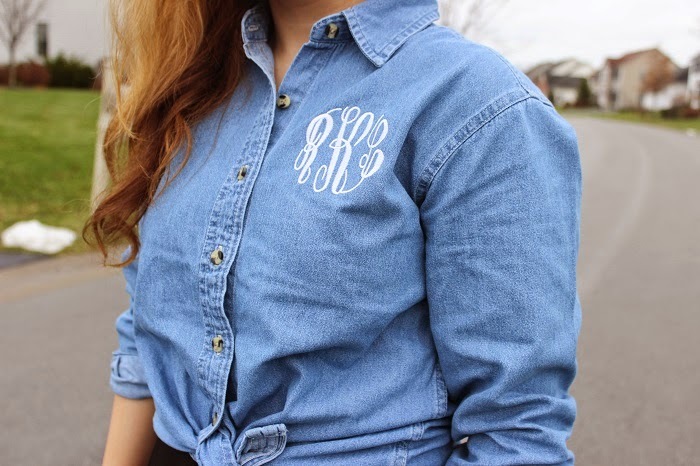 No surprise, it's from Marley Lilly. 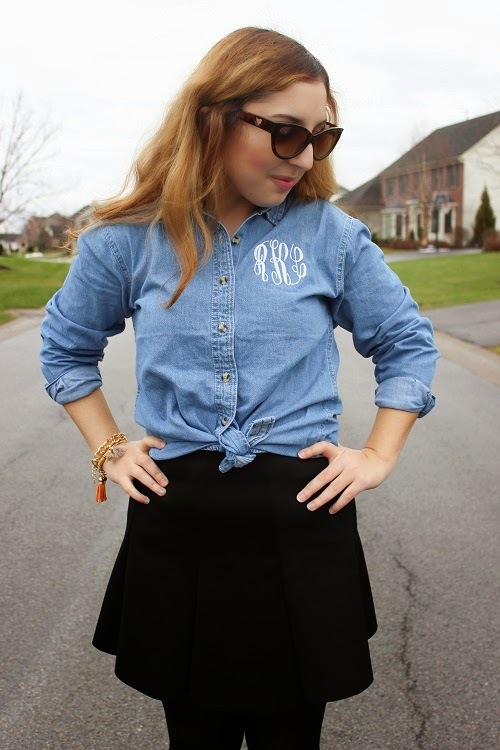 My obsession with them continues with this new denim shirt I received and the tassle bracelet which you can see up close here. I decided to take a chance and wear the denim shirt a little more dressed up and I have to say I love this combo. Hope everyone had a nice Christmas! Thank you Mica, you too!